Each year, McCullough Funeral Home hosts our Annual Seasons of Hope Remembrance Program. First held in 2013, this special and moving event is something that we are honored to share with our families. We invite you and your family to join us as we continue this tradition. The complimentary program features an uplifting and hope-filled presentation; this portion is held in our chapel and lasts 30-40 minutes. We will also have additional viewing areas set up for those considering bringing small children who may not be accustomed to sitting still in this type of environment. We have learned that this preserves the reverence of the moment but allows children who may benefit to still participate in this important event. The areas are throughout the funeral home and the service is broadcast on large screens. 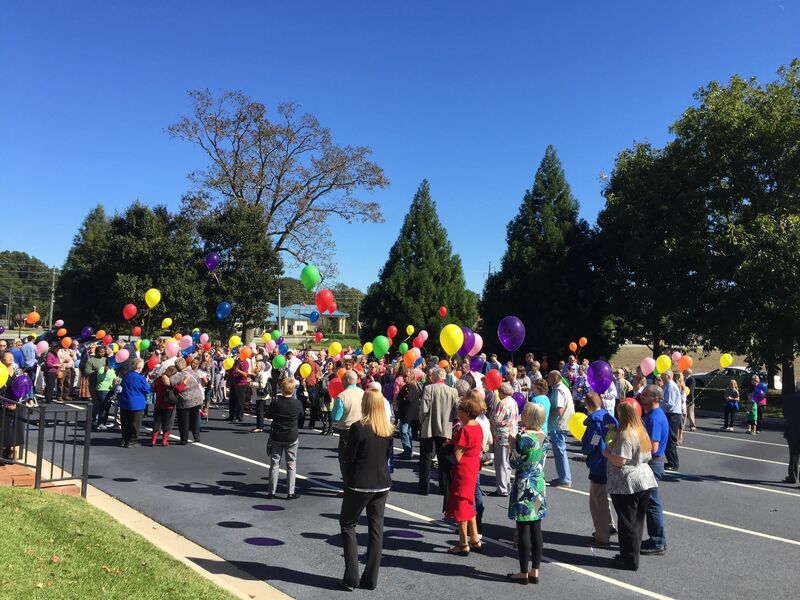 Following the speaker's portion, we move outside for a beautiful memorial balloon release, music, and fellowship. During this part of the service, you will have the opportunity to release a biodegradable balloon with your message written on a "seed card" in memory of your loved one. Once the seed cards land, wildflowers will grow as it disentegrates. Light refreshments will be served following the balloon release and we invite you to share this invitation friends or family who would like to join you in remembering your loved one. To help us with preparations, registration with the expected number of guests, by October 17 would be greatly appreciated. You may call McCullough Funeral Home at 478-953-1478 if you need help registering. If you have any questions about the program, please contact our Continuing Care Coordinator, Joyce Hutcherson at 478-972-2405. You can also e-mail her at joyce@mcculloughfh.com. We truly hope you will join us for this special service; we look forward to seeing you soon. NOTE: If you are considering bringing small children, please be aware that the Chapel portion of the program (prior to the balloon release) will be 30-40 minutes. We will have additional viewing areas that may be more comfortable for you and the children during this time. We have learned that this helps keep the reverence of the moment intact while allowing the children to be here and participate in this very special event.